Have you heard of Eluktronics laptops? You probably haven’t. Well, Eluktronics are an ODM company, and in truth, one that is not from your standard name brand laptop company. But before I get into the Eluktronics Review, let’s break down what ODM and OEM mean for those who don’t understand the reading on this script. 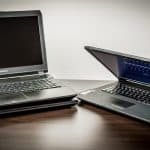 Original Design manufacturers (ODMs) have for a long time now owned a large chunk of the PC market creating simply some of the best PCs we know. Companies like Asus, Dell, Lenovo, and Apple are the most common ones we know and have come to love, with a large share stake in the market. But the last decade has seen the entry of a new beast in the making. Catch the drift? Yes, so what OEMs have done is made sure that playing your favorite games don’t mean buying a prebuilt system with components you don’t like. Some of today’s laptop pack some serious beef in terms of power but could perform even better with better-picked monster components. That’s what Eluktronics and other OEMs offer. If you’re one to be very particular with your components, horsepower and frames per second needed to run AAA titles smoothly, then picking your own components is vital. That’s even more important when you need a gaming machine that you can tote around the house or over to your friend’s house. So is Eluktronics a good Company? Eluktronics offers a host of gaming systems and a good bunch of them are high-end with premium components. So you would expect them to be well priced above $1000 and up. But what I liked about them is that they some of the best budget gaming laptops from Eluktronics are between $1500 and $2000. So, is the company good? I would want to say yes. But that’s not to say they haven’t been plagued with several flaws for a few of their systems. Like any good company, there has to some negative feedback. Then again, what makes a laptop great is personal; it’s whatever makes your boat float. For most, whether or not the company is trustworthy depends on a combination of facts including components quality, performance, customer service and support which we’ll try to break down. Some of the best gaming laptops in the industry come with impressive designs, full of character and personality. From the likes of Acer Predator, Alienware, Razor Blade to MSI we’ve noted a similar thread of intergalactic themes with out of the world profiles. It’s really an interesting spectacle to follow. A sizable portion of Eluktronics gaming laptops share these themes, for instance, the Eluktronics W650HKI with muscle lines on its lid. However, the majority of them, while selling at delectable price points, sport low-profile designs and not so visually stunning themes. If you’re one to prefer ostentatious designs in gaming laptops, then Eluktronics laptops might not scratch that itch. With that said, we’ve caught a glimpse of some interesting laptops in the Eluktronics lineup. Some impressed us with their metallic gun-metal color and lid that adds up well to an attractive stealth jet aesthetic. The Eluktronics Mech-15 G2 delivers such great features while still being able to perform like a boss. Apart from processors and graphics card, one of the most subtle components that make or break a laptop is the display. You conduct all your tasks on the display starting from ordinary run-to-the-mill computing tasks to creative uses such video editing and gaming. So, your display isn’t something to sit on the fence about as it in can directly impact your performance. So, my verdict? I have nothing but love for Eluktronics laptops. Majority of the displays offering Full HD (1920 x 1080p) resolution, anti-glare (Eluktronics N870HP6 Pro-X Gaming Laptop) screens with IPS and optional configurations where you can choose between displays (Eluktronics P650HP6). On the flip side, to run a stunning display at 4K, you would have to distinctly look for better value elsewhere. That is a front Eluktronics has yet to specialize on that other companies flourish, case in point Razor with their Razor Blade Pro. Otherwise, the display on Eluktronics laptops is way above par for gaming laptops. As far as keyboard and trackpad go, you need a good set of both if you’re going to spend $1000 to $2000 for a laptop. As an overall generalization, I would say the Eluktronics laptop keyboards are decent having seen a bunch of them. There some that are clicky, tactile and a bit noisy, but if mechanical says something about your keyboard appetite then this is for you. A majority of options in the Eluktronics line up offer a mechanical keyboard. For instance, the Eluktronics Mech 15-G2 and Eluktronics P650HP6. The Mech 15-G2 sports a tactile keyboard which while not exactly helpful in being a superb beast in gaming is pretty comfortable to type on; once you get the hang of it. However, if you’re a frequenter at the library, it might get you some hateful sore gazes or at worst kicked out. Moving on, due to the large nature of most or Eluktronics laptops (15.6-inches), there’s a number pad which is great for school work and gaming. The keyboard also comes with backlighting to enable using in poorly lit rooms or in the dark. The RBG lit keys are zoned in sections meaning the lights flairs up in pairs as opposed to individual lighting. Overall, it’s not as impressive as other gaming laptops we’ve seen, but it makes the cut and we give it an Okay! Again, the Eluktronics Mech 15-G2, Eluktronics P650HP6, Eluktronics W650HKI, and Eluktronics N850H6 show much promise here. Other contenders like Asus ROG and MSI’s GE73VR Rader RBG Edition have ridiculous RGB keyboards which would bring you to tears. As for the trackpads, they’re are sizable, easy to work on, and quite responsive owing to the Windows Precision software they use. Although the trackpad might not appeal to users with history with glass trackpad, they can be easily substituted for a gaming mouse. A host of components in PCs depend on the CPU which means it’s important to pick the very best to handle the job. CPUs affect everything ranging from gaming performance, operating system, application, and software performance and also determines your platform and choice for motherboard. The graphics card is the top dog gaming component in a laptop and as such should be treated with respect. We don’t consider a laptop gaming unless it has a graphics card with technology capable of handling intensive graphics; a discrete graphics card. The dominant player in the discrete graphics card field is the Nvidia GTX 1060, 1070 and 1080. A handful of laptops in the Eluktronics lineup offer Nvidia GTX 1060 GPUs and lower all while maintaining budget price tags. 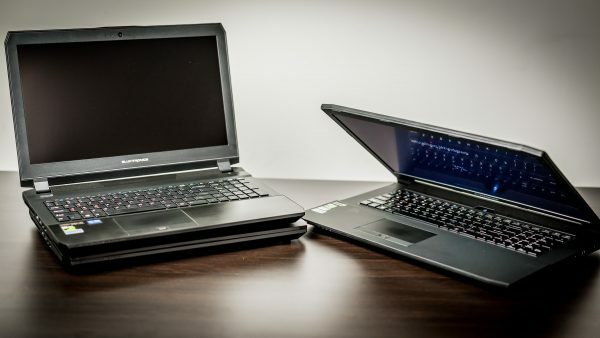 Eluktronics laptops stack up well against most gaming laptops with Nvidia 1060, but in some instances, they cost just as much as competitors with higher GPUs. Case in point, the Gigabyte Aero 15 which offers Nvidia 1070 and costs similar to the Eluktronics Mech 15-G2. Although rare, such cases are a negative point for Eluktronics. A performance laptop requires some considerable amount of storage to back up its data files and games. Eluktronics offers a BYO option for parts such as storage which means if you know how much space you need to go with your laptop, you can opt for it on their website and have it included in the build. Eluktronics laptops are hand built upon making an order so you can search the web for the best storage options and decide which one has the most performance chops before pulling the trigger. Surprisingly, the real kicker is Eluktronics makes NVMe drives with high tier performance (read and write speeds) and budget prices. Some of the storage sport sequential read speeds of 2685MB/s (500GB) and 2700MB/s (1TB) which is higher faster than average SATA SSDs. Some of the laptops also include an extra bay for future expansions if you ever need to upgrade. For instance, the Eluktronics N950KP6 offers an extra single PCIe/SATA M.2 bay with 2.5″ 7mm/9.5mm dimensions for either HDD or SSD. In retrospect, Eluktronics is really making some awesome strides on this front and so it deserves some consideration. As laptops become more powerful the constant urge to make them smaller and sleeker grows. The high increase in CPU performance can be attributed to strong performance chips and graphics cards, both packed with powerful energy consuming heat emitting parts. Today, the common threat to your laptop, besides from your hot coffee mug, is overheating. Laptop failures due to thermals can be fatal if not permanent so it’s something that needs to be eyed keenly. As for Eluktronics, the company makes high-performance machines with but there have been a couple of cases of reduced performance but to poor thermals. Some consumers have reported high heat emission but for gaming machines, this is common. We attribute this to poor quality thermal work or insufficient cooling. However, considering most Eluktronics machines have intake grills and exhaust ports, the problem lies with thermal grease. As result, Eluktronics offers an option for thermal pastes. You can opt for a premium thermal paste to ensure your laptop dissipates the excess heat effectively. Moving on, we can’t speak for all, but for some of the Eluktronics laptops we’ve encountered, throttling starts at 82 degrees. Considering different cards have different throttling points, we can’t exactly state a fixed figure for all of them. However, the general verdict is that the temperatures can get high on some models but with good DIY thermal pasting and practices, the heat can be managed whenever it shows its ugly neck. For a company that’s relatively new in the industry, they are doing pretty great on this front. In terms of warranty Eluktronics offers a one year warranty but with an option to pay for a longer term; upgrade to two years or even three years through their website. The warranty is one of Eluktronics strengths considering it’s not a common thread among OEM companies. Even while the name Eluktronics sounds foreign coming from overseas countries like China or one of the East Asian country regions, it is based in Delaware and that is where they ship their products from. Also, their customer service operates from Delaware as well. Greatly priced: Some of the very best in Eluktronics laptops we’ve reviewed offer both value and impressive pricing. The laptops offer great specs, compete with some of the most famous lineup of laptops in the industry and are budget priced. Modest design: Eluktronics laptops are generally modest in design and look with parts made of plastic (Eluktronics N-series) We would want to think that is because they aren’t the original designers. Like Sager and Origin PC, the body of the laptop is made by Clevo. The Eluktronics Pro-X P650HP6-G brags of a powerful combination of features that make it shine among its gaming counterparts: Intel® Core i7-7700HQ Quad Core processor, and Nvidia GeForce GTX 1060 with 6GB GPU, a 8GB DDR4 2400MHz RAM, and 128 GB M.2 SATA III SSD drive. All these specs make the Eluktronics Pro-X P650HP6-G incredibly fast and a force to reckon with in the gaming arena. It handles tasks just as good as the industry-leading laptops and stands out for its budget-friendly price. It receives our Editor’s recommendation as a budget gaming laptop. The Eluktronics N850HP6 Pro-X Premium Gaming Laptop design isn’t the best we’ve seen around and its right-angled jugged edges give it a rugged feel that appeals to some – while may turn away others. Regardless, it’s quite a good machine, to say the least. It sports an Intel 7th Generation Intel Core i7 processor, plenty of screen estate, 16GB RAM, 256GB solid-state drive and 6GB Nvidia GeForce 1060 GPU which register non-compromising performance. Further, the wide selection of configuration options gives the buyer sufficient freedom to buy according to their needs. Bottom line – a powerful gaming notebook for a steal. Ample screen estate that’s great for working. What the Eluktronics NB50TK1 Gaming laptop lacks in gaming aesthetics, it gathers in performance prowess. It sports a number of great features and packs a professional look to go with. You won’t be embarrassed walking around with it and it also won’t let you down performance wise. We recommend it for power users in graphic arts, gamers or just anyone who wants a future-minded laptop offered at a competitive price. As you would expect, the Eluktronics N857KH1 Pro-X packs enough raw power and performance to muscle through games and office tasks. Its big honking screen is just the right size for working and gaming on for long hours without compromising on battery life. Whether you’re thinking of fragging your enemies in virtual reality or just watching movies over the weekend with friends and family, the N857HK1 has you sorted. The Full HD and graphics card should come through for you just perfectly. Additionally, you get plenty of storage for media which virtually every user requires. If you’re gaming on a budget, the Eluktronics N857HK1 Pro-X Special Edition 15.6-Inch Gaming Laptop marks the sweet spot between performance and pricing hence we recommend it. It is a very capable laptop that is sure to deliver beyond expectations and is good value for money. It may not be the fastest gaming laptop in the segment but it packs a mean punch. It brushes shoulders with some of the latest laptops such as the Acer Predator Helios 300 Gaming Laptop and the ASUS M580VD-EB76 VivoBook 15.6″ FHD thin and light Gaming Laptop. But while the Predator Helios is aesthetically appealing with gamer-centric design, our unit remains the-go-to gaming laptop for subtlety. The Eluktronics Pro-X P957HR offers a perfect balance between performance and portability while managing to stay very affordable. It comes with all the necessary features to meet the needs of any student, engineer, video and photo editor among others, even meeting the needs of a graphical designer as a secondary machine. After sampling it closely we can do none else but issue it a clean bill of health and a tap on the back. With better cooling, performance, and value, the Eluktronics Pro-X P650HS-G Gaming Laptop is a gaming laptop of choice for students and gamers. It features some top of the line component like Core i7-700HQ, Nvidia GTX 1070 + G-Sync, 16GB of RAM and 256GB SSD storage. You also get a healthy set of ports and a future-proof USB Type-C port. Finally, because everyone loves a greatly designed laptop they can walk around with like a badge of honor, aesthetics is our only gripe with this laptop. Nevertheless, if your tastes are more of performance and less of design, then this ugly duckling might be just for you. For the most part, the bulk of Eluktronics laptops are not one to certainly turn heads or start conversations. There are more gamer-centric rigs out there with better designs and aesthetics. However, if you’re looking for top-tier components and impressive performance then Eluktronics is a starting point. We’ve listed some of the best Eluktronics laptops in the field. They receive our thumb of approval for packing the latest features, therefore, rendering better performance. As a bonus, they are also very competitively priced.